Travelers entering Litchfield from the west encounter this tercentary sign as they pass Stop and Shop. 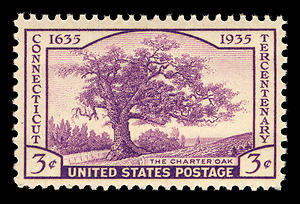 In 1935, Connecticut celebrated the tercentenary of its European settlement. It was an enormous undertaking, with over 3,000 events attended by more than 4 million people (the total population of the state was 1.6 million,which ranked it 29th in the country; in 2012, with 3.5 million residents, Connecticut still ranks 29th!). 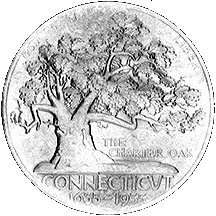 The State Legislature created the Connecticut Tercentary Commission in 1929 to plan and oversee the commemoration. Among its sponsored activities were special exhibits and ceremonies, musical events, pageants and parades, activities for schoolchildren, and special license plates. Special coins were minted, and special stamps created. Two undertakings of the Commission continue to serve their original purpose more than three quarters of a century later. The first is the series of sixty pamphlets on Connecticut history published by Yale University Press for the Commission. These pamphlets, authored by various Connecticut writers including Commission chairman Samuel Herbert Fisher, are all available at the Connecticut State Library. 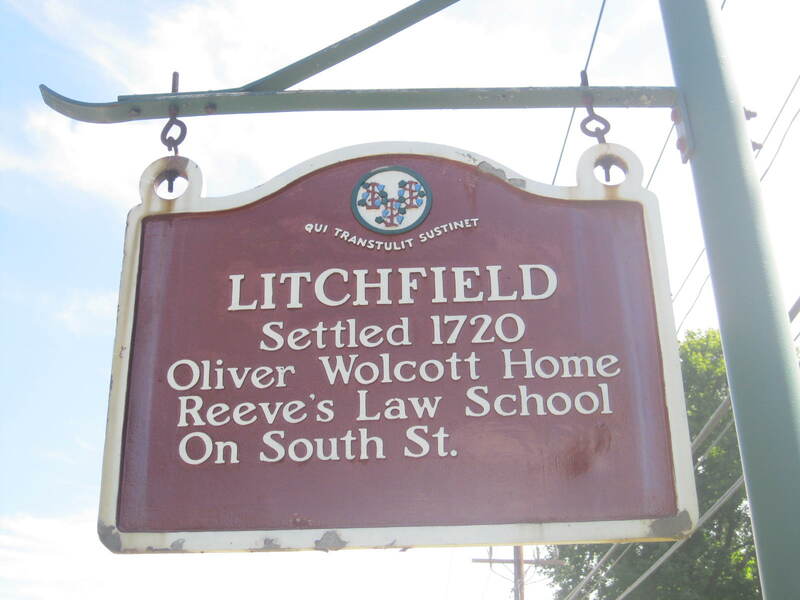 Of particular interest to Litchfield are The Settlement of Litchfield County, The Litchfield Law School, 1775 – 1833, and Connecticut Portraits by Ralph Earl. The east side of the sign between Stop and Shop and the Webster Bank. 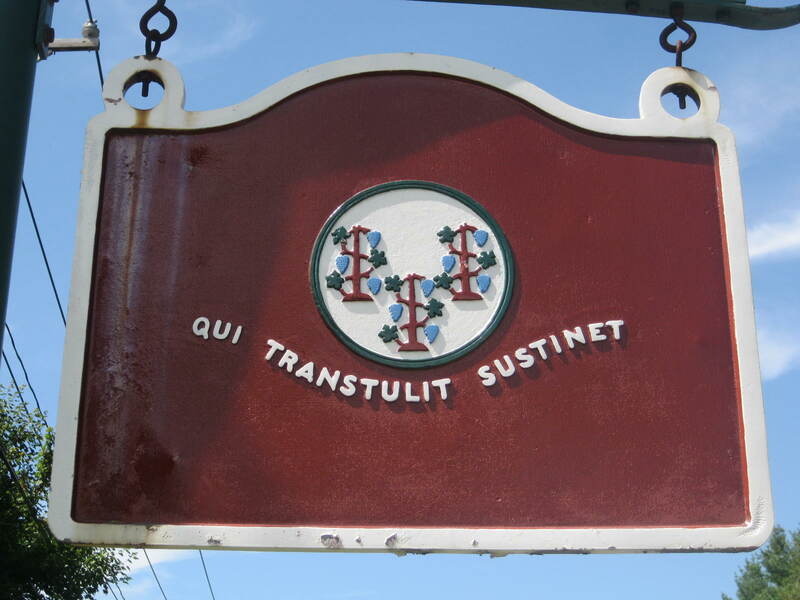 It bears Connecticut’s state motto, which translates to “He who transplanted still sustains” and the state seal, which shows three grapevines, one representing each of Connecticut’s three earliest settlements, Windsor, Wethersfield and Hartford. 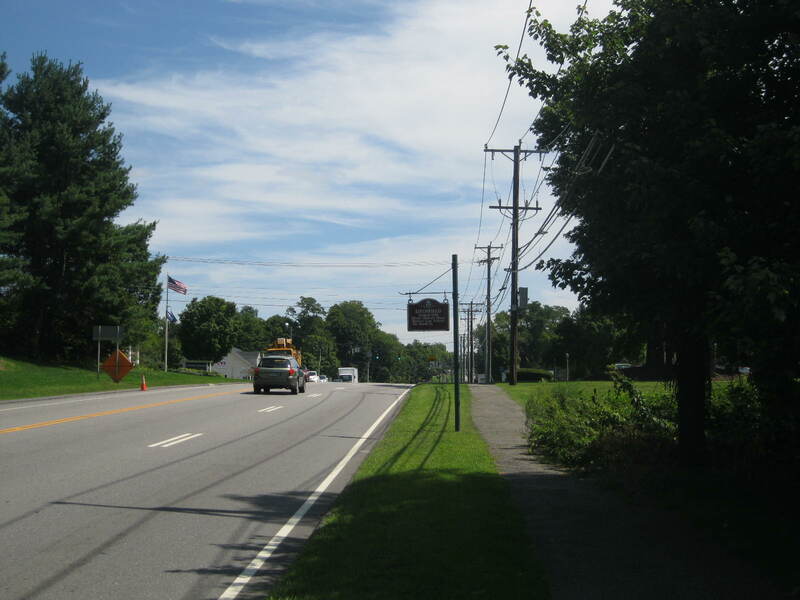 More noticeable on the Litchfield landscape are the roadside historical markers erected by the Commission. Thousands of cars pass Litchfield’s four signs every day, yet there is no indication on the signs about who put them up, when they were put up, or why. There were 139 known signs erected to inform motorists about important episodes or people from Connecticut history. However, as many of these signs were duplicate (for example, nine signs in Hartford told the passerby about a nearby 17th Dutch fort), there were 71 different historical sites marked by the Commission. The west side of the sign located between Stop and Shop and the Webster Bank. All the signs were 1.5 feet by 2 feet, and painted in the distinctive brown with white letters. However, while most hung from poles, there was no uniform method for hanging the markers. It is interesting to ponder, what sites were marked? What sites weren’t? In keeping with the historiographical attitudes of the time, it is not surprising to learn that many identified sites of military importance. However, eleven of the signs identified sites of educational importance, and sites of literary importance were also well represented. Litchfield’s markers reflect these trends. 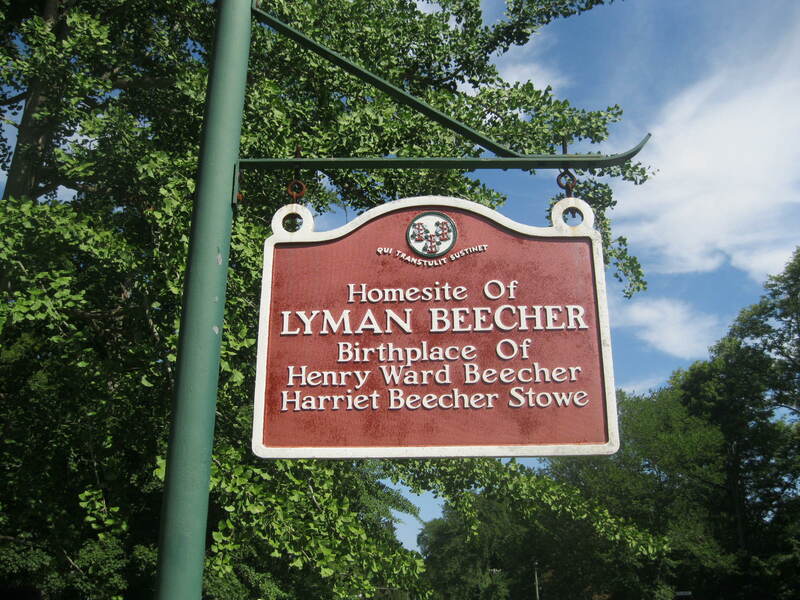 This sign marking the Beecher homestead is located at the intersection of North Street and Prospect Street. Located along North Street. Note: If any town officials are reading, the tree around this sign needs to be trimmed! 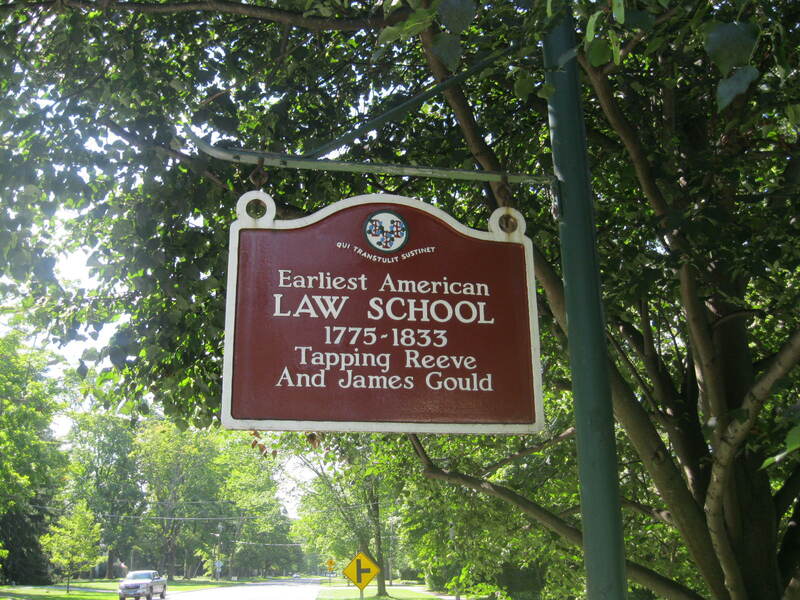 Located in front of the Tapping Reeve Home and Law School on South Street. … and Tapping Reeve. Yet no signs (at least no extant signs) mark the sites of homes of Revolutionary heroes Oliver Wolcott or Benjamin Tallmadge, further evidence that what is considered significant in history changes over time, and isn’t always cast in stone, or metal. 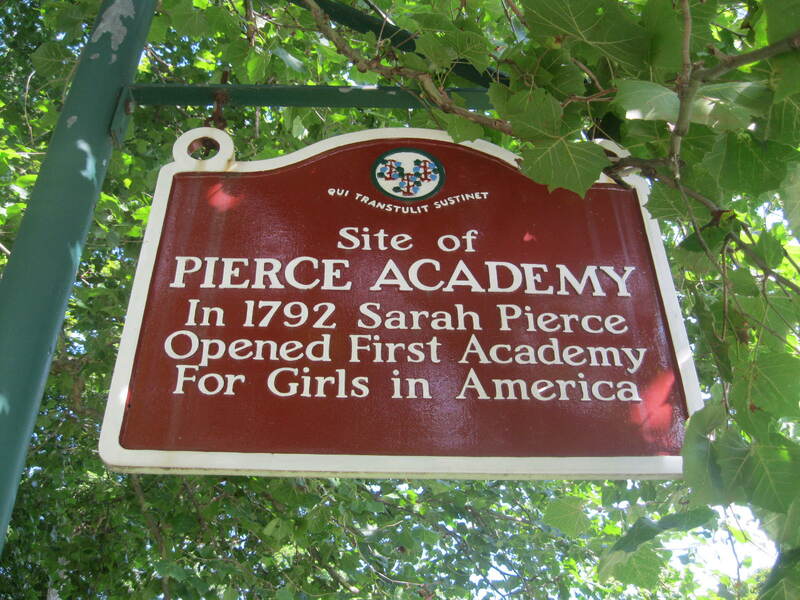 This entry was posted in Geography, History and tagged Connecticut, Litchfield, markers, Roads, tercentary by pvermily. Bookmark the permalink. THANK YOU for explaining the meaning of the three grape vines. The online tour of the governor’s mansion claimed that “the meaning of the grape vines is still unclear to this day,” which seemed a bit fishy. Thank you for restoring my faith in the fact that the founders of Connecticut wouldn’t blindly put things on the flag for no apparent reason.